Since I never started or drove my S1 Esprit prior to taking it all apart, I was unsure if the alternator or starter even worked. I decided to upgrade the old Lucas units with new ones. 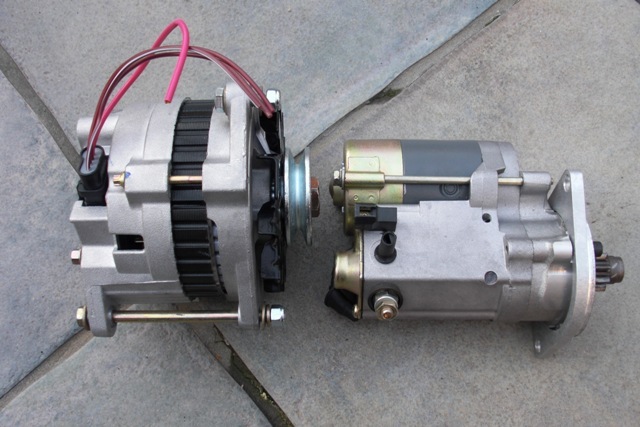 The gear reduction starter and alternator are both smaller, lighter and should be more reliable. The alternator required minor machining to fit and the belt needed to be longer due to the pulley being a larger diameter. Otherwise, it seems to be a worthwhile upgrade while the car is at this stage. 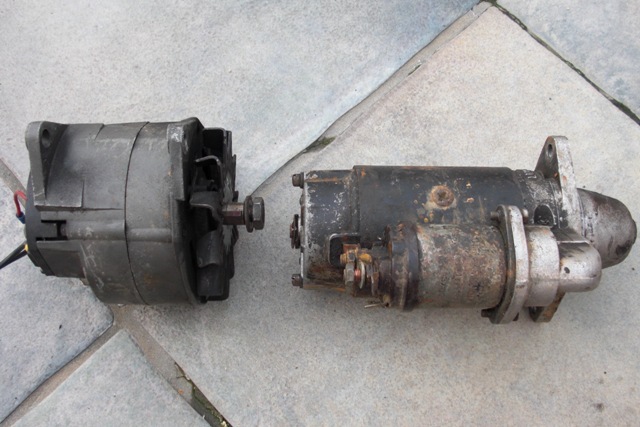 The old starter and alternator assemblies off the car and ready for replacement. The new ancillaries ready to go back in. I hope they perform as good as they look!